Honda ATV Forum > Honda Model Specific Discussions > Honda TRX > Tuning issues please elp. I have a 01 trx 400 xe. I have been fighting this thing for 2 years when I bought it. I have replaced the intake boots, Just cleaned the carb. I dont know what all the jets are. The main is a 155 I believe as my jet measuring tool has a 150 and 160, the 150 is kind if loose but 160 does not fit. it must be a 155. I have replaced the plugs, coil and added a larger oil cleaner. There are stickers that say hot cam on the quad but I have no idea, the last owner said it had them. looks to be a slopon pipe and the airbox has a clear vented lid. big air cleaner. It is hard to start. There seems to be a lot of fuel mist when I rev it with the air cleaner boot off. someone told me this is normal before but I am not sure. 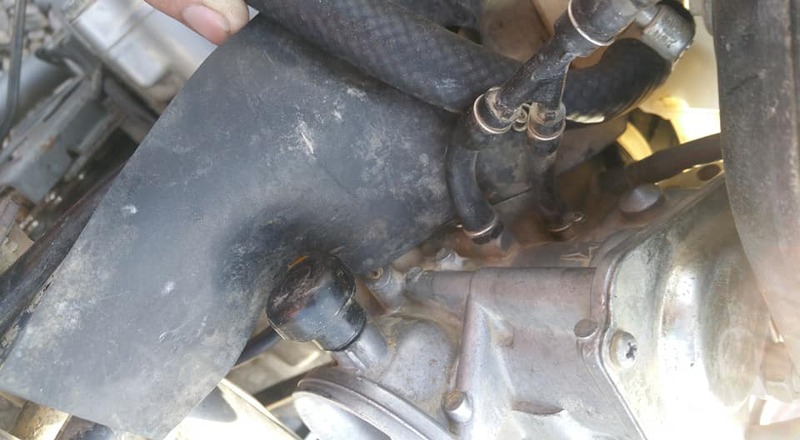 There are 2 hoses that connect to a tee on the side of the carb. I plugged the end of that hose and it ran better. It runs much better without anything connected to the cab as far as air cleaner boot and filer. does this hose connect to something? I have tuned many things but this quad is screaming tannerite. Last edited by Michael Christopherson; 03-24-2019 at 08:03 PM. Since I can't edit the message I need to correct a few things. I have a 160 main in but the mids and highs are bogged down. Too rich I guess but when I had 155 in it popped. not detonation. 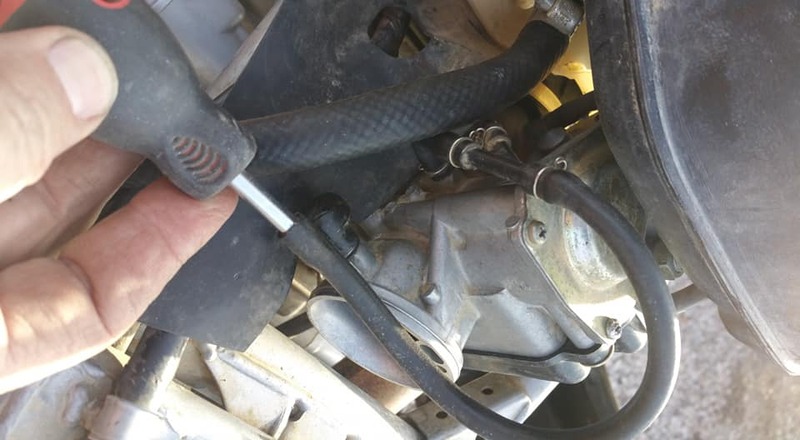 Also, I removed the plug from the hoses and it did not seem to make any difference so I dont know why it made it better before unless something was plugged and this cleared it. I also have a slip-on muffler, and the airbox has a clear vented lid. it still runs better with the airbox removed completely. Perhaps this goes to more restriction and it is too rich. The hose you plugged is the vent for the upper chamber of the carb. With it plugged you could get idle hang. The slide could get held by vacuum without the air vent to allow it to drop. The jet sizes you are running would be for a close to sea level altitude for just a slip-on with stock airbox. I would also wonder if the pilot jet will need bumped down aswell for high altitude riding. My service manual says stock main is 148 and 138 for high altitude. That being said slip-on pipe with airbox open where i am. Around 800 feet give or take alittle. I would be running a 170 main with a 42 pilot jet mixture screw at around 2 1/4 -2 1/2. But keep in mind. Alot of things have an effect on jetting. Ambient airtemp, moisture in the air, and berrometric pressure.